SAN FRANCISCO, Sept. 19. 2012 -- Malaria has been found in birds in parts of Alaska, and global climate change will drive it even farther north, according to a new study published today in the journal PLOS ONE. The spread could prove devastating to arctic bird species that have never encountered the disease and thus have no resistance to it, said San Francisco State University Associate Professor of Biology Ravinder Sehgal, one of the study's co-authors. It may also help scientists understand the effects of climate change on the spread of human malaria, which is caused by a similar parasite. Researchers examined blood samples from birds collected at four sites of varying latitude, with Anchorage as a southern point, Denali and Fairbanks as middle points and Coldfoot as a northern point, roughly 600 miles north of Anchorage. They found infected birds in Anchorage and Fairbanks but not in Coldfoot. Using satellite imagery and other data, researchers were able to predict how environments will change due to global warming -- and where malaria parasites will be able to survive in the future. They found that by 2080, the disease will have spread north to Coldfoot and beyond. 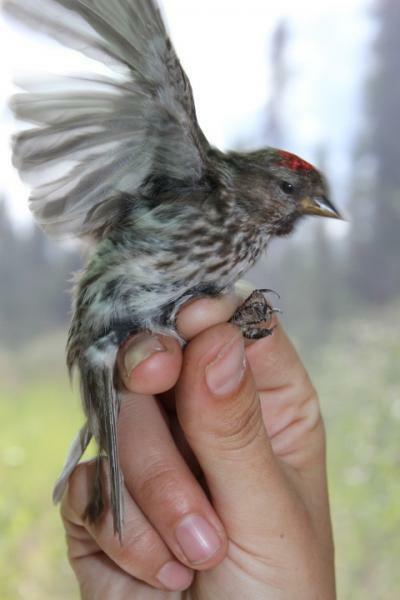 Avian malaria was found in Alaska in the Common redpoll, pictured here. "Right now, there's no avian malaria above latitude 64 degrees, but in the future, with global warming, that will certainly change," Sehgal said. The northerly spread is alarming, he added, because there are species in the North American arctic that have never been exposed to the disease and may be highly susceptible to it. "For example, penguins in zoos die when they get malaria, because far southern birds have not been exposed to malaria and thus have not developed any resistance to it," he said. "There are birds in the north, such as snowy owls or gyrfalcons, that could experience the same thing." The study's lead author is Claire Loiseau, a former postdoctoral fellow in Sehgal's laboratory at SF State. Ryan Harrigan, a postdoctoral scholar at the University of California, Los Angeles, provided data modeling for the project. The research was funded by grants from the AXA Foundation and National Geographic. 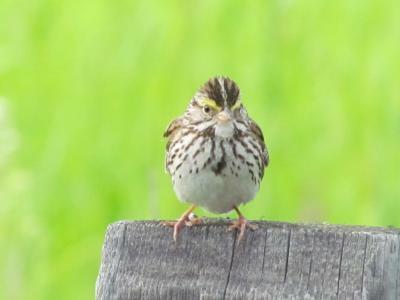 Avian malaria was found in Alaska in the Savannah sparrow, pictured here. The data may also indicate if and how malaria in humans will spread northward. Modern medicine makes it difficult to track the natural spread of the disease, Sehgal said, but monitoring birds may provide clues as to how global climate change may effect the spread of human malaria. 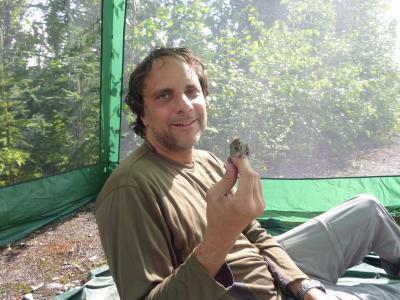 SF State Associate Professor of Biology Ravinder Sehgal holds a Common redpoll, one of several bird species in Alaska researchers found to be infected with malaria.